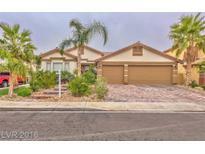 Below you can view all the homes for sale in the Foothills Ranch subdivision located in Henderson Nevada. 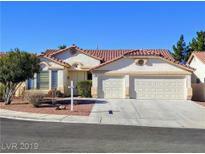 Listings in Foothills Ranch are updated daily from data we receive from the Las Vegas multiple listing service. To learn more about any of these homes or to receive custom notifications when a new property is listed for sale in Foothills Ranch, give us a call at 702-323-5903. Huge backyard with covered patio and sparkling inground heated pool and spa with LED lights to entertain. MLS#2086184. Vegas Dream Homes Inc.
* 2 Master Bedrooms, One With A 2 Way Fireplace * + A 3rd Bedroom * Extended Ceilings T/O * Shower In 3/4 Hall Bath * Cozy Living Room With Formal Dining Foom On Your Way To The Family/Kitchen Area With Cozy Fireplace * Large Sized Island With Breakfast Bar And Plenty Of Cabinets * Eat In Kitchin Area Too * Window Coverings T/0 * Sliding Door From Main Master Bedroom To Great Backyard! ! MLS#2063392. Brokers Realty. Larger secondary BDRs upstairs. Private backyard w/no neighbor behind MLS#2054186. GK Properties. Pool can be heated solar or gas.Must see!!!!!!! ! MLS#2053840. Paradigm Realty.